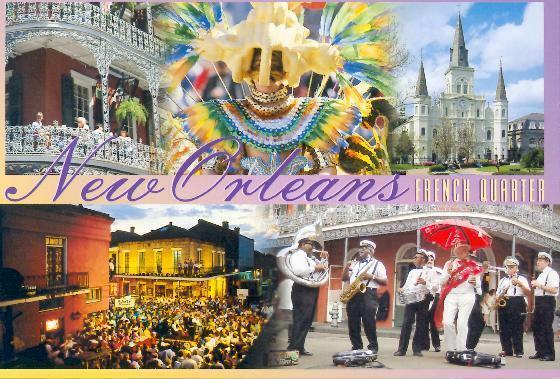 French Quarter Festival kicks off on Thursday, April 12, 2012 with a performance by the Grammy-winning Rebirth Brass Band, the first New Orleans brass band to win music’s highest honor. Rebirth won this year’s best regional roots music award for its “Rebirth of New Orleans” album. Hundreds of Louisiana musicians will perform from April 12–15 on 22 stages throughout the French Quarter. This year its stages will be at Jackson Square, on Bourbon Street, in the open-air French Market and the grassy park along the Mississippi River and elsewhere in the Quarter. In all, about 800 musicians will perform Cajun, jazz, blues, gospel, zydeco and funk. Besides Rebirth, the lineup includes Cyril Neville and the Royal Southern Brotherhood, blues singer Deacon John, clarinet player Pete Fountain, singer-songwriter Theresa Andersson, Cajun fiddler Amanda Shaw and Troy “Trombone Shorty” Andrews. Apart from music, the festival offers affordable food from some of the city’s finest restaurants, including Antoine’s oyster bonne femme — oysters and crabmeat in a rich sauce with cheese — as well as Muriel’s crawfish and goat cheese crepes and Tujague’s beef brisket. Louisiana standards like gumbo, po-boys and jambalaya are also served. There is no admission, but vendors sell cocktails and food to help subsidize the event. Private and corporate sponsors pay for the musicians. Last year roughly 500,000 people attended the festival.